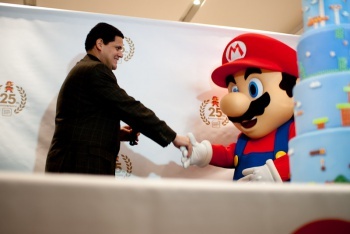 Nintendo claims there is no truth in the report that its new console will run Android. Earlier this week, we received a report from a fairly reputable Japanese business newspaper that Nintendo was planning on using an Android-based OS for its upcoming Nintendo NX. When we reached out, the company declined to comment, but it has now told the Wall Street Journal quite definitively that the report is false. "There is no truth to the report saying that we are planning to adopt Android for NX," a Nintendo spokesman told the journal. The report stated that the company was going to use Android in order to speed up getting all game developers on board, as well as better encourage cross-platform development. It certainly does make a lot of sense for Nintendo to use an Android-base for its new console, especially with the big mobile push Nintendo has recently adopted, as well as its historically poor third-party support.